Preamp with Bluetooth and wireless streaming to other MusicCast devices for an easy multi-room system. Match this preamp with a pair of active speakers. 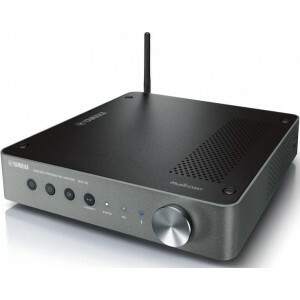 We also sell the integrated amp model you can use with passive speakers, the Yamaha WXA 50. 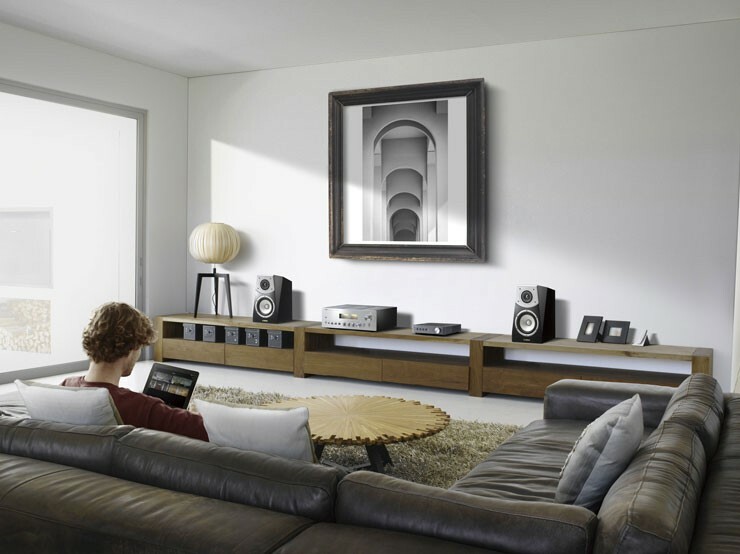 Yamaha WXC-50 pre-amplifier further expands the MusicCast range of wireless streaming products, enabling you to stream from multiple devices for an easy multi-room system. The new WXC-50 preamplifier is the perfect solution for those who want to get the most out of their existing home theater or Hi-Fi system. It supports Bluetooth, DLNA, Apple AirPlay, Spotify Connect and is compatible with all other MusicCast products. The slim metal case design allows easy and flexible positioning vertically or horizontally in even the tightest of spaces without disturbing your decor. It is also suitable for rack mounting in custom installations. With premium audio components, it incoporates the same ESS Technology DAC used in high-end Yamaha AV receivers and advanced circuit designs to deliver clear, detailed music reproduction. Yamaha proprietary sound processing technologies such as a Compressed Music Enhancer, Volume Adaptive EQ and Advanced Bass Extension Processing help improve sound performance even with less-than-ideal content or speakers. WXC-50 supports playback of high-resolution audio files for more accurate sonic reproduction, including Apple Lossless (ALAC) files up to 96 kHz/24-bit, as well as FLAC, AIFF and WAV files up to 192 kHz / 24-bit. 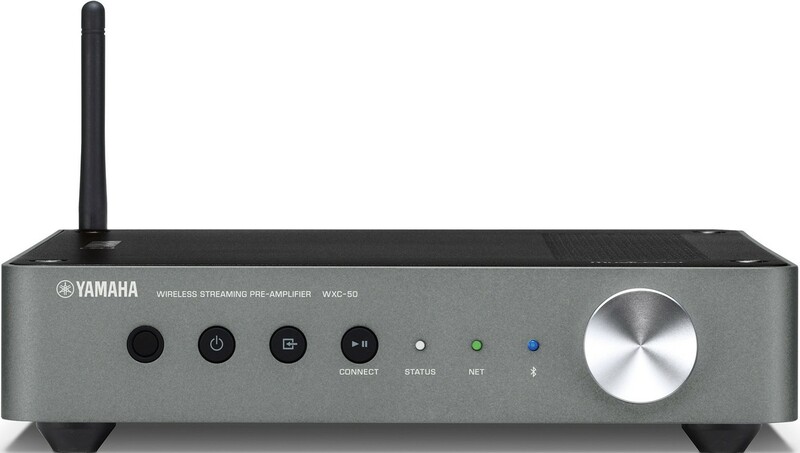 It also supports single-device playback of DSD streams up to 5.6 MHz. Connection is available via ethernet, USB, optical digital and analogue along with separate sub and analogue outputs. The Yamaha WXA-50 is compatible with the MusicCast controller app for smartphones and tablets. 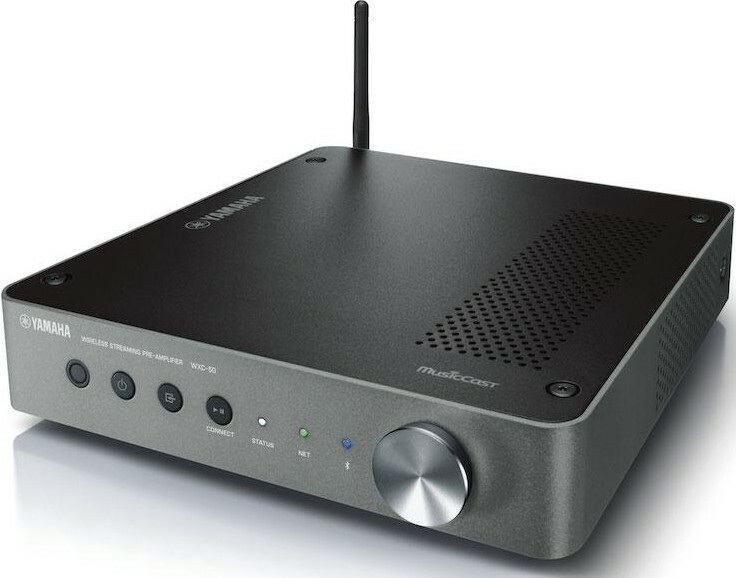 Connecting the WXC-50 to an AV receiver or stereo amplifier not only adds powerful streaming audio capabilities, but also enables wireless multiroom playback when used with other MusicCast products. Connect the WXC-50 to a Yamaha amplifier equipped with 'main in' and 'Trigger In' terminals and you can use it to control system power and volume. Using the WXC-50’s remote control or app makes system operation more convenient. If you want to adjust the volume from the Hi-Fi amp or AV receiver, the WXC-50 allows you to turn off PRE AMP mode and use the device as a simple network audio player. Switching to Player mode bypasses the volume and any processing for direct playback of high-resolution audio. Play the same song in multiple rooms, or play different songs in each room. With MusicCast, freely enjoy the music you love anywhere in your home. You can hear all the music sources from your smartphone via wireless Bluetooth or AirPlay connection. You can play music from music apps, radio apps, or YouTube type video hosting services. 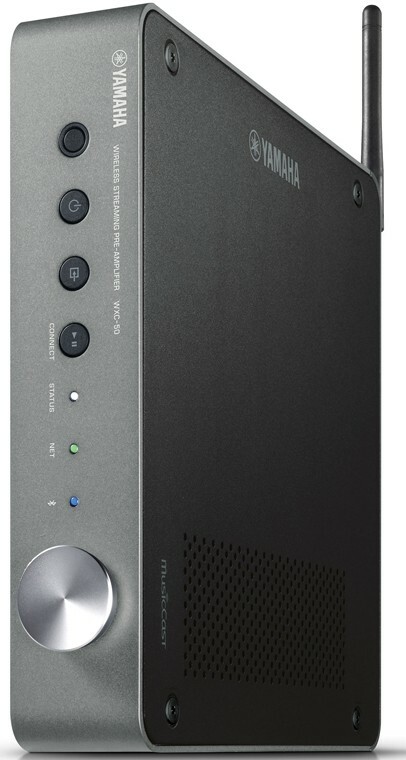 The WXC-50 is compatible with all types of music sources and services, such as streaming services. Provided with various types of terminals for connecting a TV, CD player, computer and other AV equipment, you’ll be able to enjoy music from around the world throughout your home from just one component. Use your smartphone or tablet together with the MusicCast Controller App to operate the speaker and change settings quickly and easily. The same Controller app functions as a remote control for all your MusicCast-compatible devices too. Pressing any button on the front panel turns the unit on and initiates playback of the previously selected source. You can also set the six numbered buttons on the remote control for your favourite network / USB sources, such as internet radio stations, NAS or USB stick albums or songs, then just press a button to instantly hear that station or song. The simple design creates a stylish musical space and integrates beautifully with your audio system. With a high quality metal body and cool two-tone colouring, Yamaha’s fastidiousness extends to the exterior, for a completely enjoyable listening experience. Only 214mm wide, the compact body fits neatly in any space without drawing attention to itself. You can chose any convenient location, placing it horizontally or vertically, on its own or with other audio components. It supports a wide range of high res formats, including DSD 5.6 MHz, FLAC and WAV, AIFF 192 kHz / 24-bit, and ALAC (Apple Lossless) 96 kHz / 24-bit for iTunes. Whether from a music download site or streaming services, you can enjoy the full benefits of high resolution sound sources, for a feeling like you’re right inside a concert hall. The WXC-50 consumes less than two watts of power in standby mode, When the power is on, power consumption is still a low 15 W, and even when used for long periods, power consumption is environmentally friendly. In addition, the Auto Power Down lets you save energy by having the power automatically turned off after 2, 4, 8 or 12 hours. The WXC-50 offers various custom installation functions, so by using several units it’s easy to create an extensive home audio system. With a width of 214 mm and height of 42 mm (without feet), this component will fit easily into a 1U (19-inch) rack. I have been delighted with this pre-amp running as a streamer in my existing Naim based system. Highly recommended, easy to setup, superb sound quality, simple to use app on iOS and at a very low cost. This is a very versatile bit of kit and very well built indeed for such a low price point. I have been using it with a fiio x7 digital audio player sending my music to a Yamaha rx-1010 adventage receiver. It has proven to be very reliable over both wifi and Bluetooth. Wifi sounds better though. I play mostly flac files of cd quality or high res files and both sound great. Very easy to use with the Yamaha music cast app.